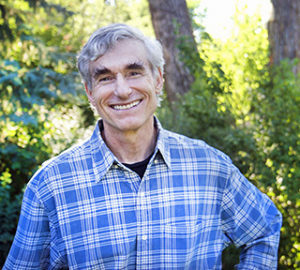 T. A. Barron, a Councilor for Save the Redwoods League, grew up in rural Colorado, where his connection to nature was immersive and powerful. The lofty peaks, pristine streams, and expansive aspen and spruce forests of the Rocky Mountains constituted the backdrop to his youth and drove a lifelong commitment to conservation. After studying as a Rhodes Scholar, Barron joined the business world, ultimately becoming a company president. But excelling in the corporate world wasn’t enough. He’d always wanted to write, and in 1990 he decided to commit himself full time to his authorial ambitions, leaving his business and moving back to his native Colorado. Today, Barron is the best-selling author of over 30 novels, children’s books, and nonfiction nature books and the recipient of numerous literary awards. He serves on the Boards of Directors of Save the Redwoods League and Princeton University, the Governing Council for the Wilderness Society, and he is the founder of the Gloria Barron Prize for Young Heroes, an annual award presented to 25 public-spirited youths. Barron’s books include the Merlin Saga, now under development as a feature film by Disney, and The Ancient One, the story of a brave young girl who discovers a grove of ancient redwoods in a lost crater in Oregon. Barron says the great trees inspire him as an enduring symbol of conservation and are a recurring and central theme in his work. While conservation is based on science, Barron believes any successful effort to preserve threatened systems such as the redwood forest ultimately must be founded on emotional connections. Learn more and read Sam Hodder’s blog post about visiting the redwoods with T.A. Barron. If the Santa Cruz Mountains could speak….